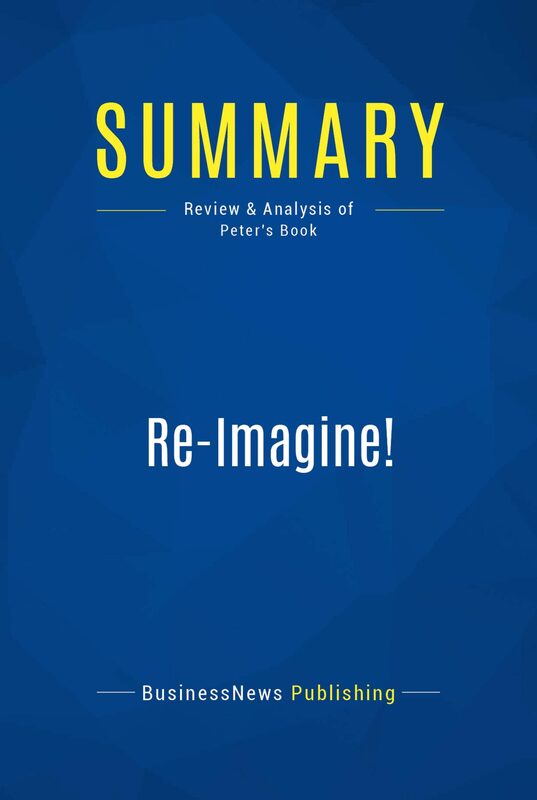 The must-read summary of Tom Peters' book: "Re-Imagine! Business Excellence in a Disruptive Age".This complete summary of the ideas from Tom Peters' book "Re-Imagine!" shows that in order to take advantage of all that the changing world offers, you must be willing to reinvent and update your business model. In his book, the author explains that this level of reinvention will be necessary as more change is imminent and it will not be sufficient to follow upgrades of models that worked in the past. This summary presents the reader with the concept of "virtual organisations", which will become the foundation of the business model of the future.Added-value of this summary:• Save time• Understand key concepts• Expand your business knowledgeTo learn more, read "Re-Imagine!" and discover the key to staying ahead in the business future.